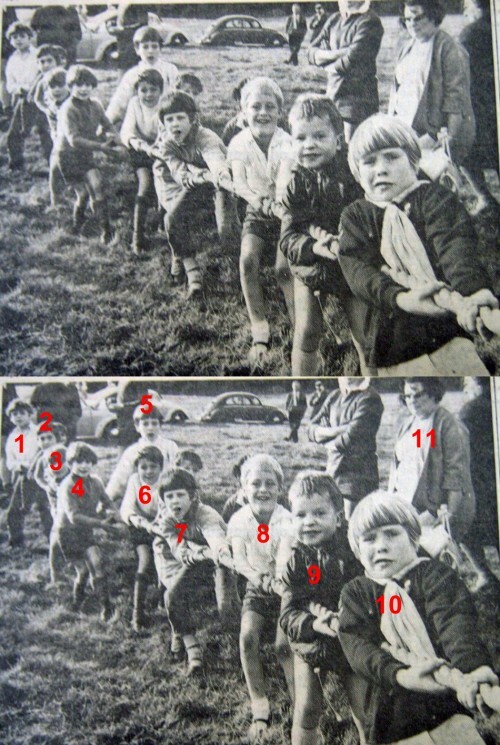 Quorn youngsters spontaneously took over the mighty tug-of-war rope at the Farnham estate on Sunday, after watching the sweat and toil of eight teams from all over the county. Unlike the 'professionals', most of the children ended up in a heap on the grass. Can you provide or confirm any more names? Missing information: Can you provide or confirm any more names?